A wonderful puzzle, and the solution is a beautiful one. This was a difficult one, and therefore I did not get as many answers to the puzzle. Abhinav was the first one to send a correct answer – and a correct one, same as the original method. Suman Saraf sent an alternative answer, again a correct one. 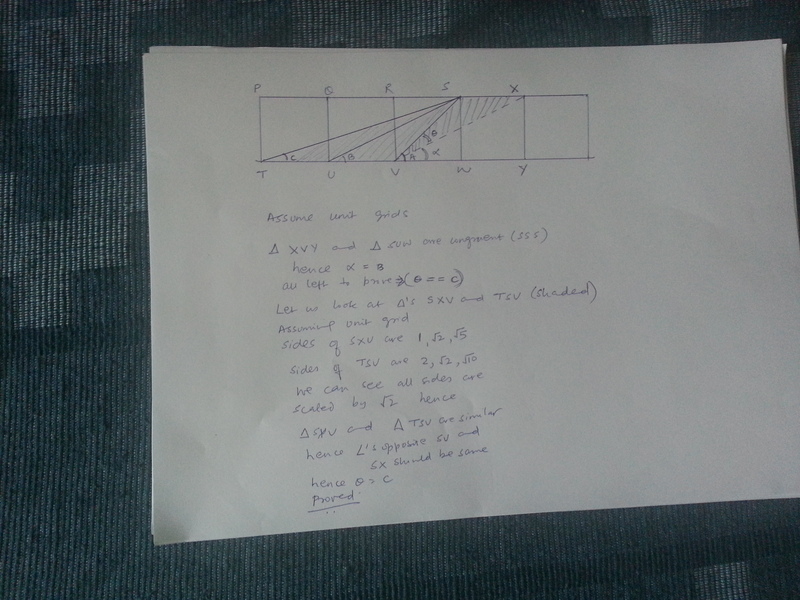 I got two more answers but they used trigonometry, and hence not reproducing them here. Here is the answer as stated in the original solution, which I have picked up from The Guardian. Look at the figure below. Let’s construct the additional squares indicated by dotted lines. 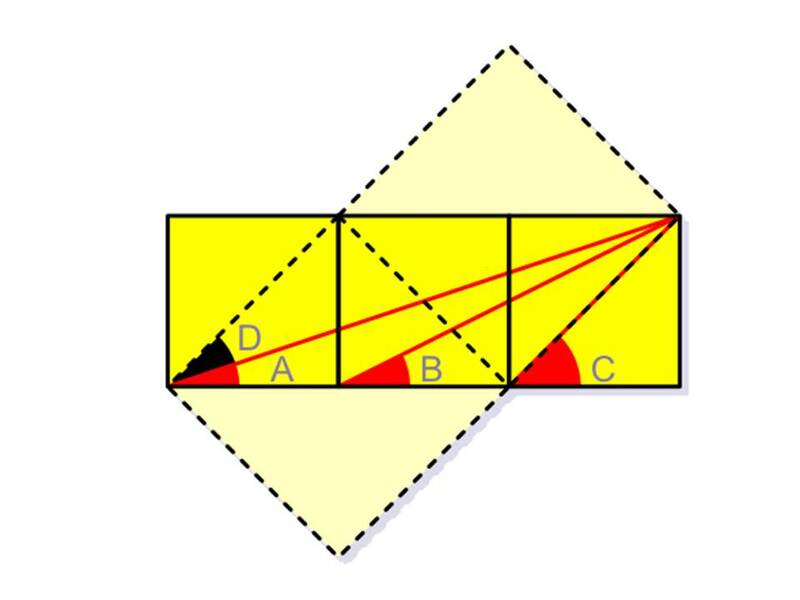 It is clear from the illustration that angle C is the sum of angles A and D. Angle B equals angle D because they are corresponding angles of similar right triangles (with the respective legs in the 1:2 proportion). That means B can be substituted for D, which automatically makes the C equals the sum of A and B.